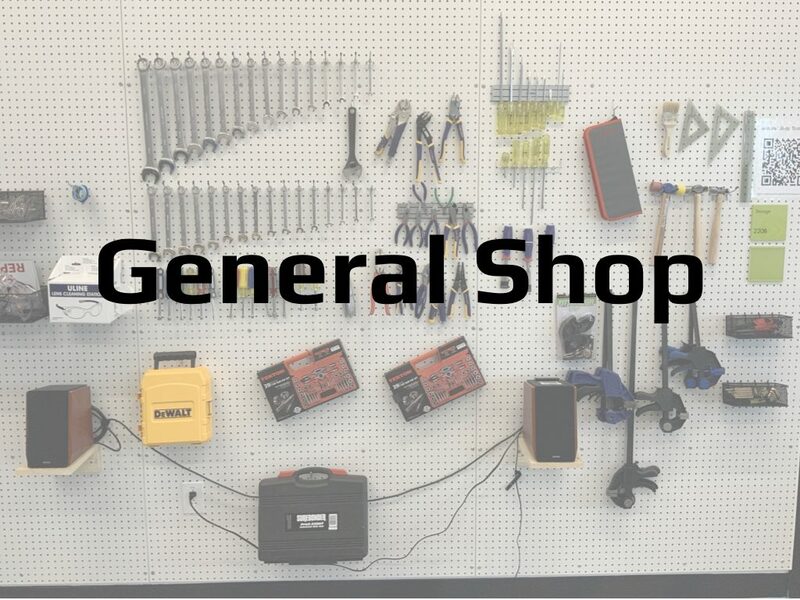 The general shop is our large work area where users can get access to space, hand tools, and are given 24/7 shop access once training is completed. The training for this area is a prerequisite for all other trainings. Sign up for General Shop Training today! 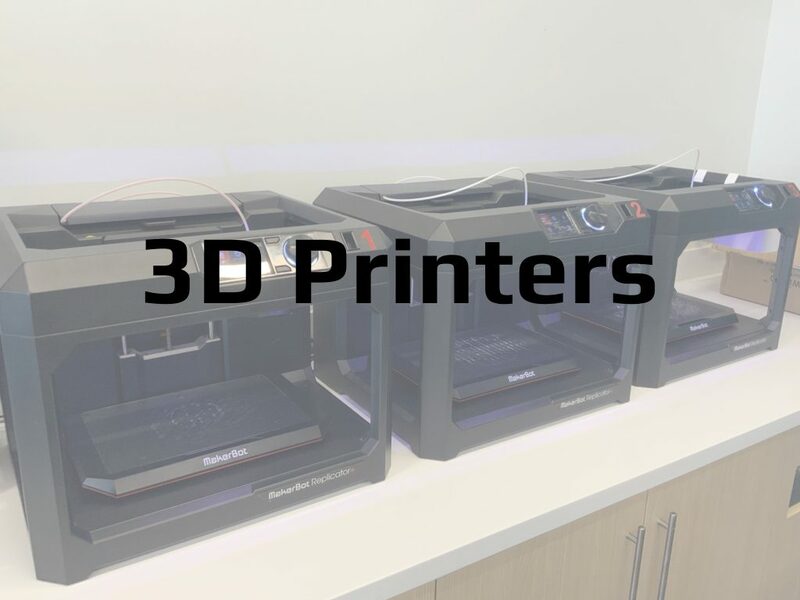 We have 3 Makerbot Replicator+ that are available to use. If you have completed the prerequisite you can sign up for training here 3D Printer Training. With our Roland GS-24 you can create all sorts of vinyl graphics and signs. 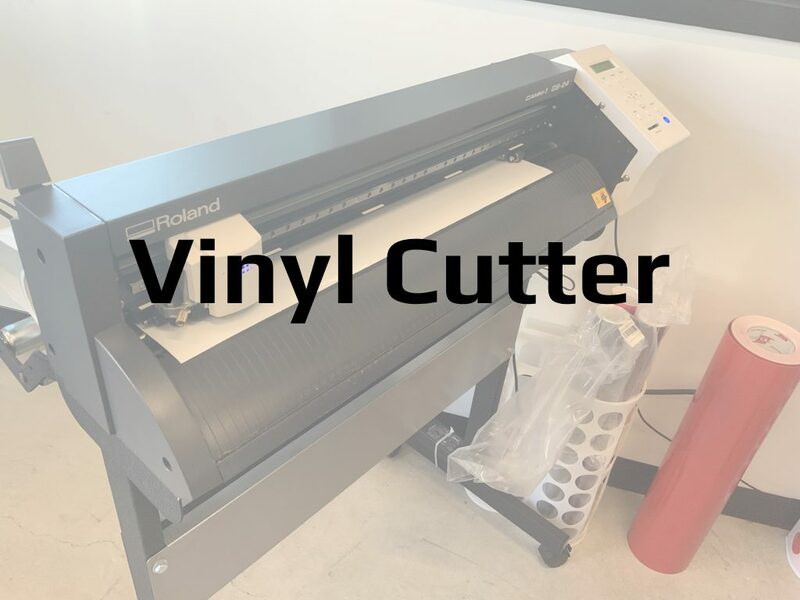 If you have completed the prerequisite you can sign up for training here Vinyl Cutter Training. 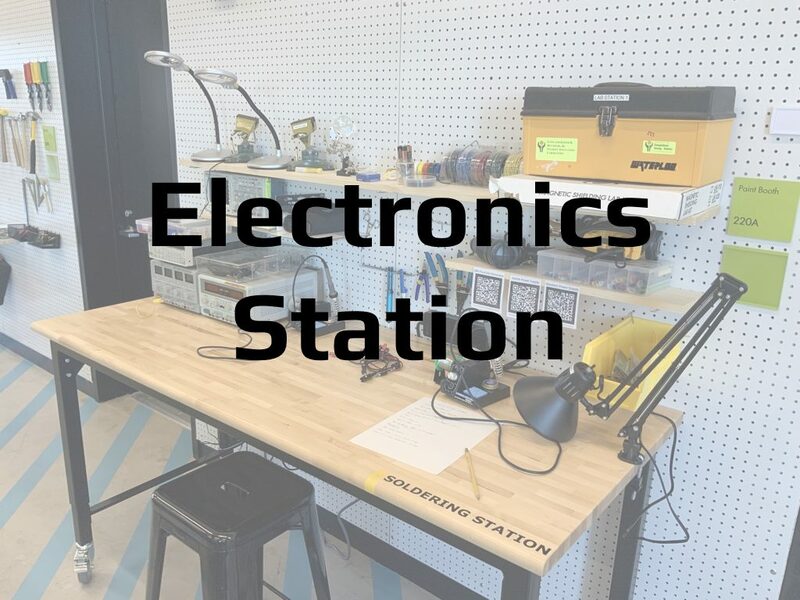 Our electronics station is packed with lots of tools to get your electrical projects up and running. The station includes a Mastech Power Supply, Instek 3030D DC Power Supply, Mastech Power Supply, Instek 3030D DC Power Supply , SRS DR335 Function Generator, Two X-Tronic 3020 Soldering Stations, and a Techtronix 2014B Ocilliscope. If you have completed the prerequisite you can sign up for training Electronics Station Training. 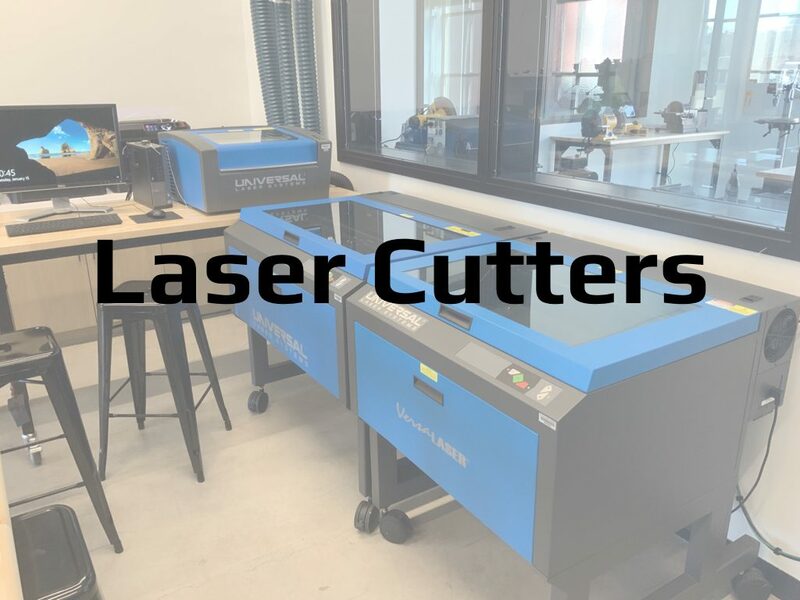 Our available laser cutters include the Universal Laser Systems VLS 2.30, Universal Laser Systems VLS 4.60, and Universal Laser Systems VLS 6.60. Once you complete laser cutter training you will be able to reserve the laser of your choice at any time. 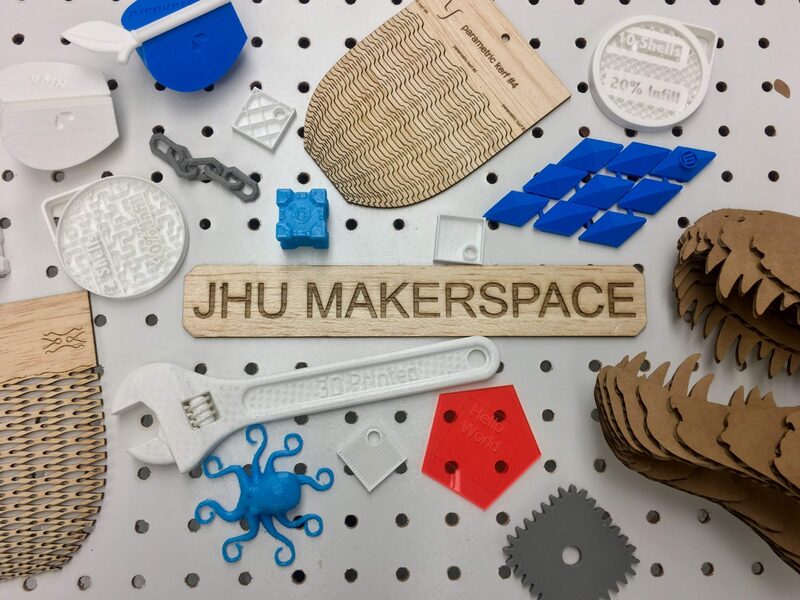 If you have completed the first prerequisite you can take the next steps for the Laser Cutter Training.